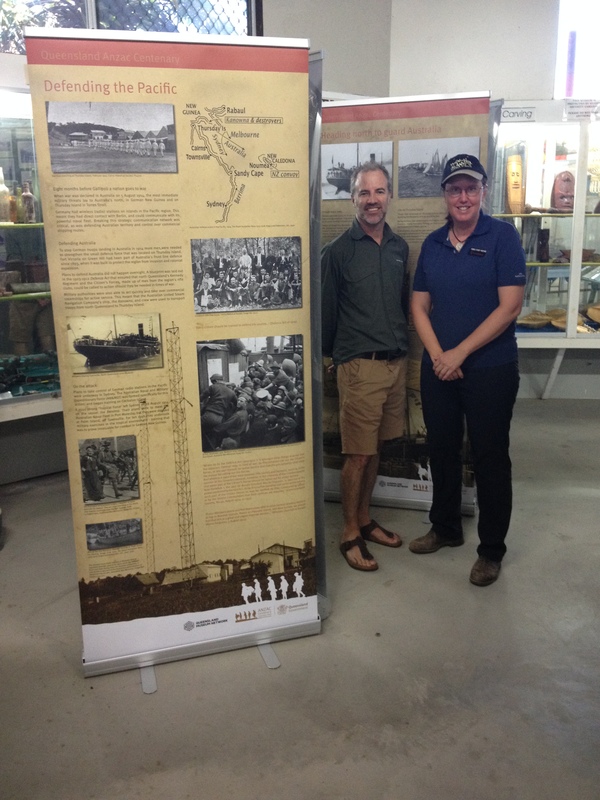 MDOs from North Queensland, Ewen McPhee, and Far North Queensland, Dr Jo Wills, have curated Defending the Pacific, an exhibition that commemorates Australia’s (and North Queensland’s) first action in the First World War. Using material drawn from collections from the Cairns Historical Society, Zara Clark Museum, Army Museum of North Queensland, Hinchinbrook Library, Townsville City Library, State Library of Queensland and the Australian War Memorial, the exhibition explores the special nature of North Queenslanders involvement in the First World War: of the rifle clubs, the Kennedy Regiment, their journey to Thursday Island and to New Guinea, and their subsequent early return to Australia without having seen active service. Ewen McPhee and Michael Castrisos, Manager, Horn Island Airport. 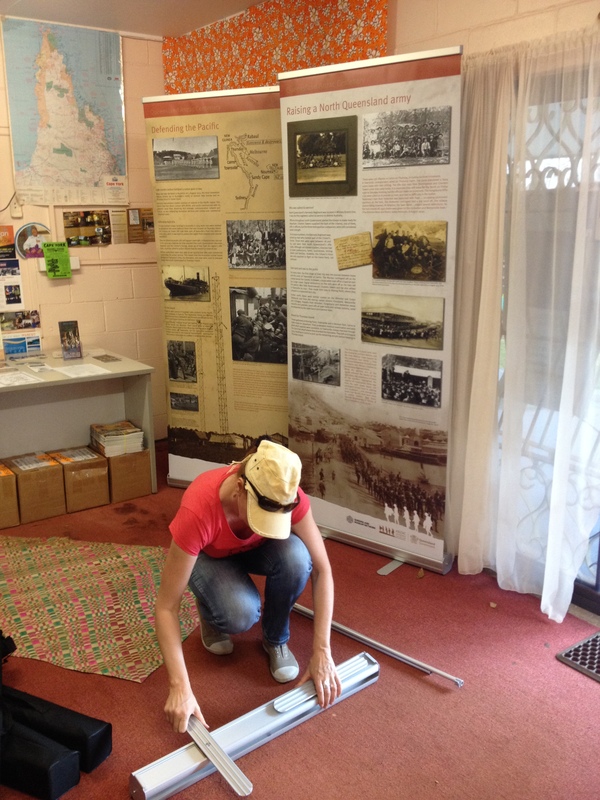 Jo Wills installing the exhibition in Seisa Holiday Park. Ewen McPhee and Vanessa Seekee from the Torres Strait Heritage Museum on Horn Island. Ewen McPhee at Poruma Cultural Centre. Sponsored by the Queensland Anzac Centenary Committee, the MDOs worked with communities throughout north and far north Queensland, and on Cape York and Torres Strait, to secure venues and participation. 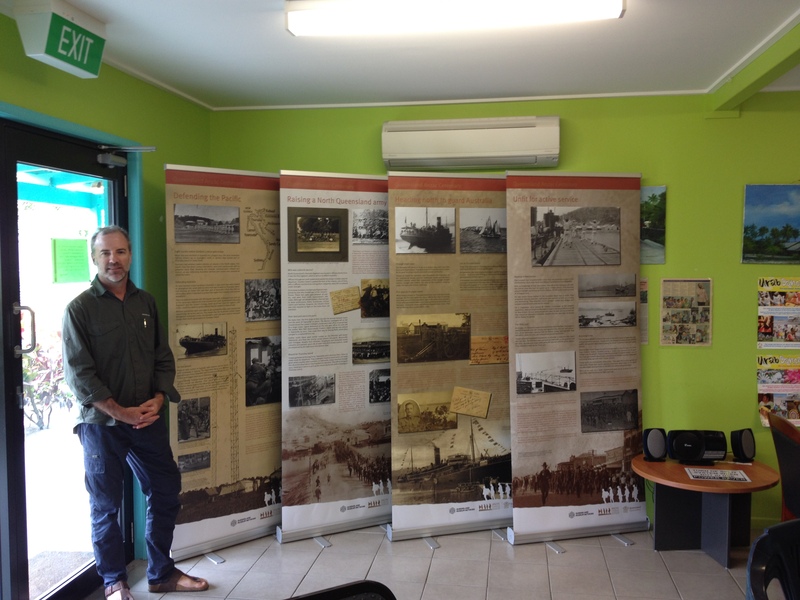 The exhibition banners are on display at Bowen Museum, Zara Clark Museum in Charters Towers, Hinchinbrook Library in Ingham, Atherton Library, Cairns Library, Mareeba Library, Seisa Holiday Park, Torres Strait Heritage Museum on Horn Island, Horn Island Airport, Peddell’s Ferry on Thursday Island and at the Indigenous Knowledge Centre on Poruma. A special photographic exhibition that explores the rifle clubs of North Queensland accompanies the banners at the Army Museum of North Queensland in Townsville, and there is a photographic display at Green Hill Fort, Thursday Island. Ewen and Jo have recently traveled to the Torres Strait to install the exhibitions in different venues and liaise with communities. 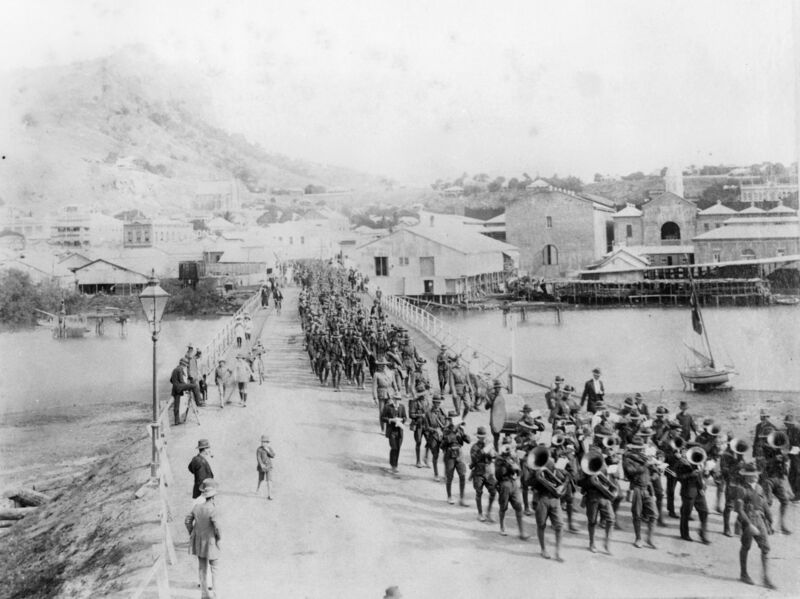 Photographic exhibition at Army Museum of North Queensland, Townsville. Given the strength of the visual material and story, Jo Wills also worked with ABC Open Far North Producer, Gemma Deavin, to create a digital story which is now available online. 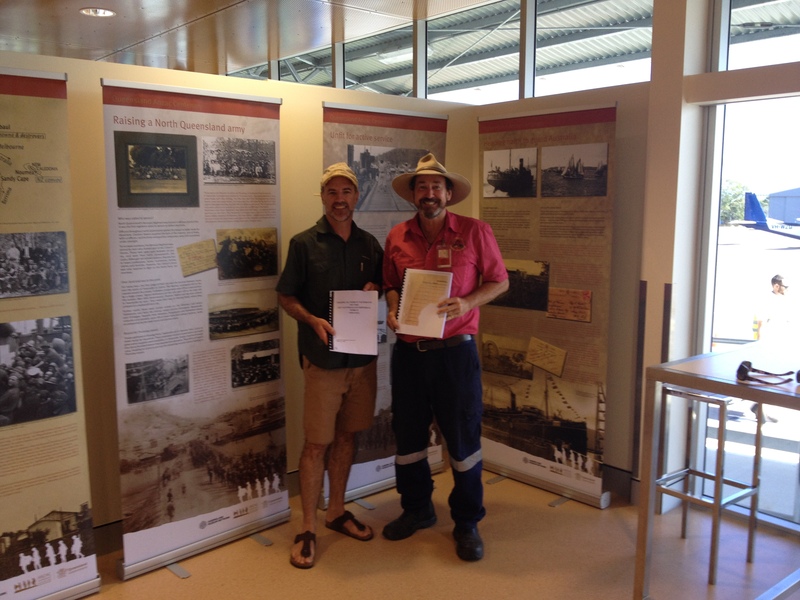 Particular thanks to the Army Museum of North Queensland, Hinchinbrook Library, Cairns Historical Society and Tyler Wellenseik from the State Library of Queensland for their assistance in pulling together this exhibition.